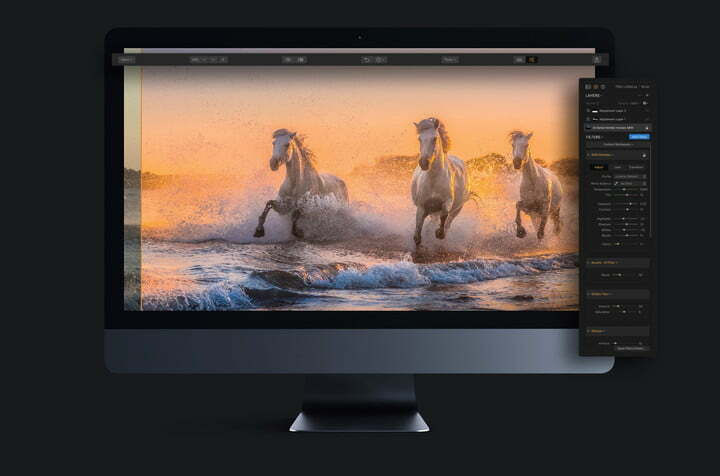 Earlier this month, Luminar — formerly Macphun — announced a substantial update, nicknamed Jupiter, to its cross-platform photo-editing program Luminar. Unlike updates in the past, Luminar Jupiter didn’t focus on adding a barrage of new tools or features. Instead, the emphasis is on performance. 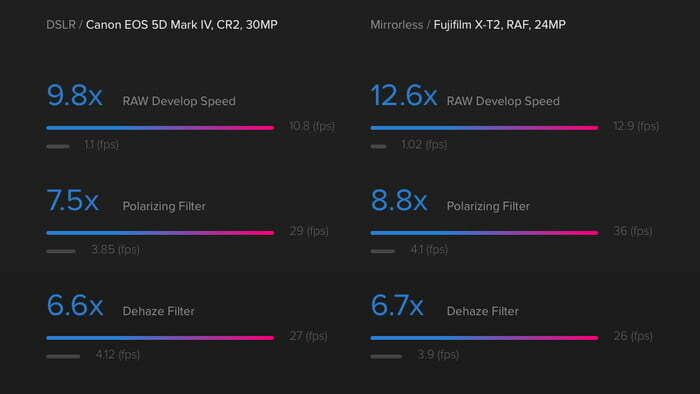 The idea of focusing on speed improvements stemmed from a decision made by Skylum CTO, Dima Sytnyk, after he received feedback from users who were running Luminar on older devices. After using Luminar on the older, less-powerful machine, Sytnyk knew Skylum had to approach Luminar’s next update differently. So, alongside more than two dozen developers from the Mac, Windows, and R&D teams, Sytnyk got to work on figuring out where performance gains could be made on both MacOS and Windows computers. The first point of attack for the development team was to make sure Luminar used as much multi-core and GPU acceleration as possible for image processing. In addition to hardware acceleration, the Skylum team also introduced shared cache usage between each of its 45 filters available in Luminar. Other tweaks made include a new internal LUT system for color processing, device-specific resolution optimization, and the use of AVX and AVX2 Instruction for better performance on Intel processors. Charted performance increase on a MacOS computer between Luminar 2018 and the latest Luminar 2018 Jupiter update. Skylum says the computer used was a MacBook Pro (Retina, 15-inch, Mid 2015) with a 2.2 GHz Intel Core i7 CPU, Intel Iris Pro 1536 MB GPU, 16GB of RAM and a solid state hard drive. When all was said and done, the performance increase was well beyond what Sytnyk initially thought possible. 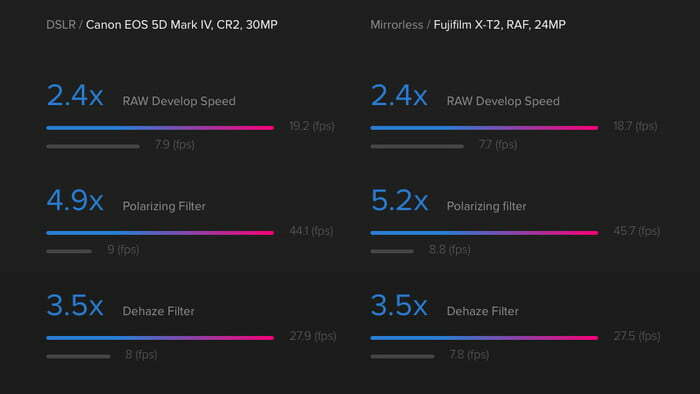 On the “old Core i5 processor,” the frame rate of Luminar dropped to just three frames per second (fps) when applying filters to a RAW image captured with a Nikon D800. Sytnyk set a goal to increase the frame rate to at least 10fps after the re-write. When the final testing was complete, Luminar Jupiter managed to reach a solid 12fps on average across the board. Overall performance for the Luminar Jupiter update improved 12x on MacOS devices and 5x on Windows devices — a discrepancy due to the extra emphasis Skylum placed on MacOS development. Luminar Jupiter is a free update for owners of Luminar 2018. An upgrade from Luminar 2017 can be purchased for $49 and a new license for Luminar 2018 can be had for just $69.